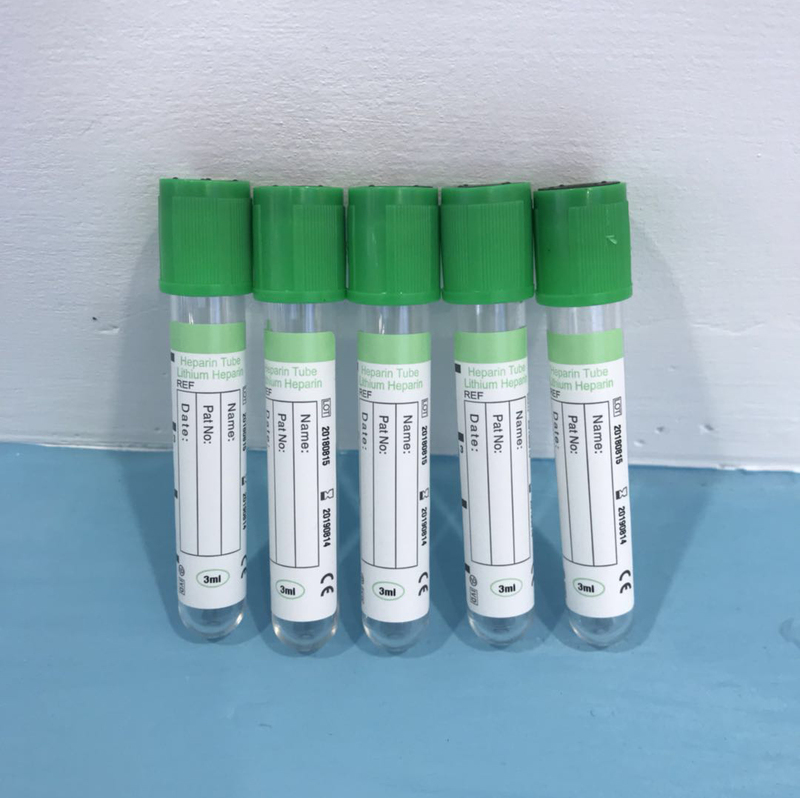 1.EDTA Tube contain EDTAK2 and EDTAK3,EDTAK2 is sprayed averagely on the wall in frog.EDTA Tube is mainly used for blood routine,Glycated hemoglobin,examination before transfusion(blood group identification,antibody screening and crossmatch) and others. 2.Mixing Requirments:After blood collection,turn the tube upside down with 180 degree and shake 5-8 times carefully or using the mixer. 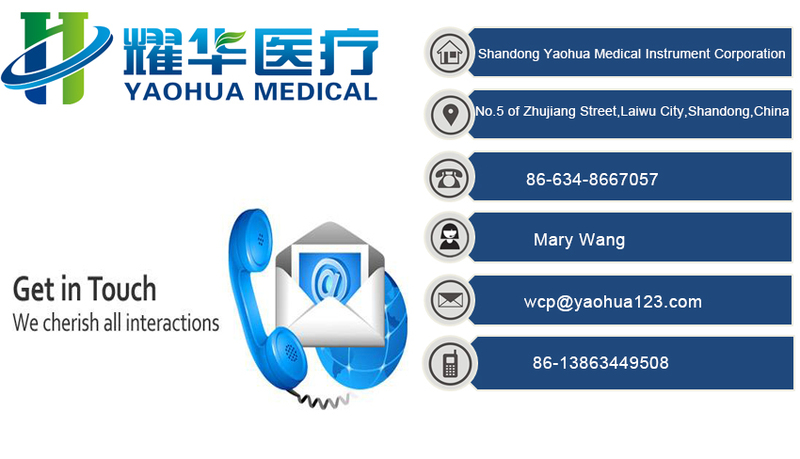 Shandong Yaohua Medical Instrument Corporation. was established in April 2011 and was put into production in April. Now our company contains 150 staffs while our registered capital reaches 41.2 million RMB and the fixed assets reaches 45 million RMB. 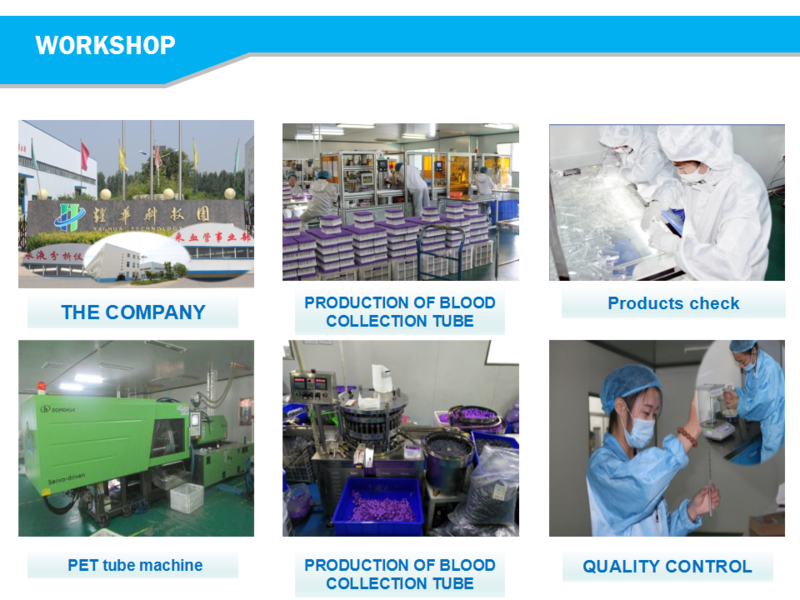 Yaohua is a special company integrating products of blood collection tubes,urine analyzer and urine strips. 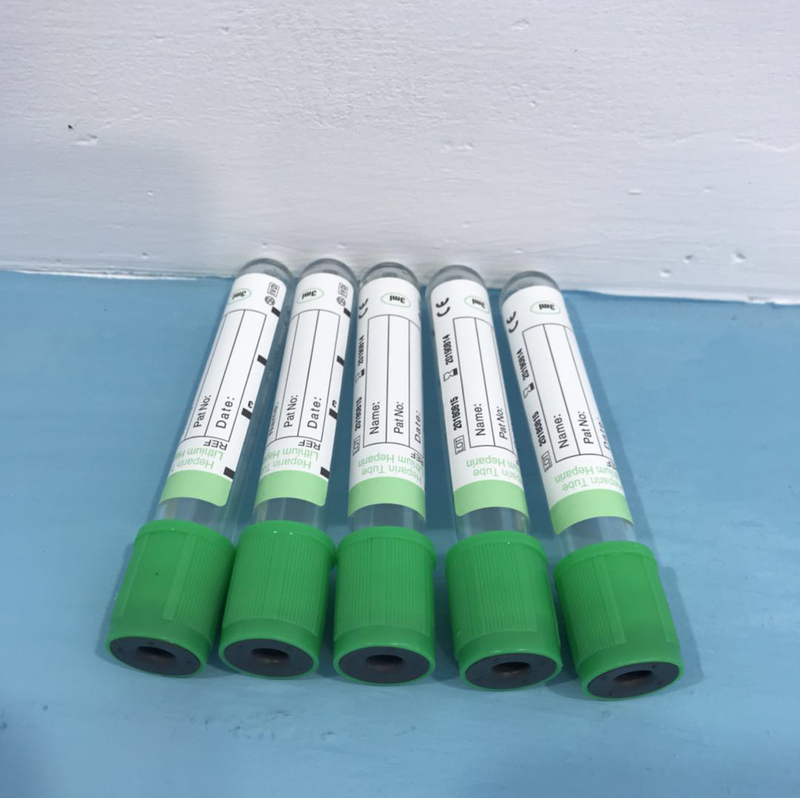 Now we have 6 vacuum blood collection lines, 2 PET tube lines 1 urine strip machines and one big urine analyzer workshop. All the workshop are class 100thousand clean room. With the spirit of technology innovation, Shandong Yaohua took technological progress as the leading edge in order to ensure high-quality products, services to users. In recent years, the company relies on research to create the outstanding performance. With efforts, Shandong Yaohua gained a number of national invention patents on new products and machines. As to cater for the different industry, all our major products got CE and ISO13485 certificates. Q1: Can I have a sample for our testing? A1: Yes, stock samples are available and free by freight collect. 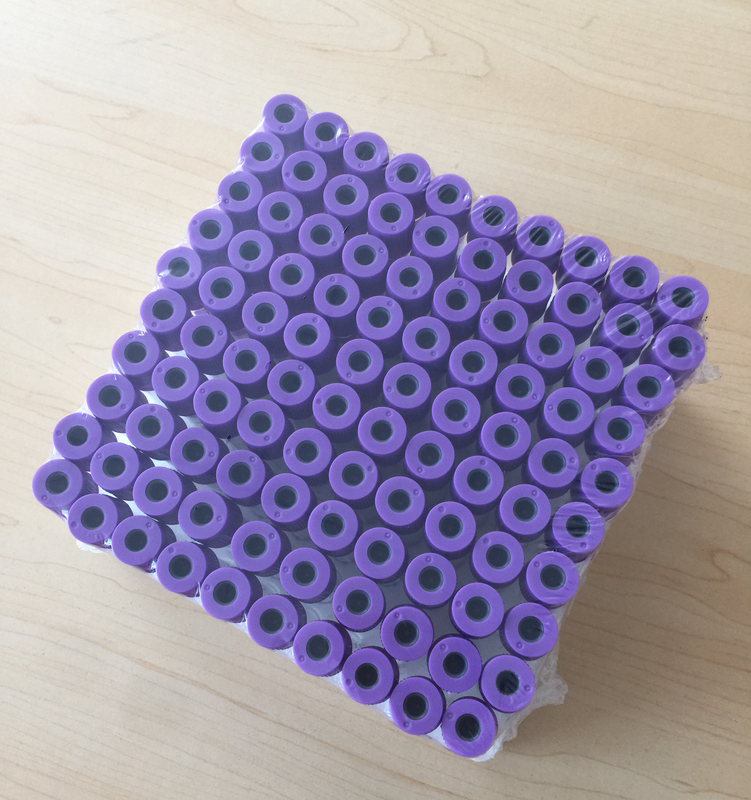 Q2: What is sample ready time? A2: Usually 3-5 days, since it was produced against specific demands to guarantee most fresh. Q4 : What's your delivery time? A4: Usually 25-35 days after receiving the deposit. Q5: Can I print our logo on the package? A5: Yes, we can do custom printing. Q6: What's your MOQ of each product? A6: Lowest MOQ but price is different for different quantity.